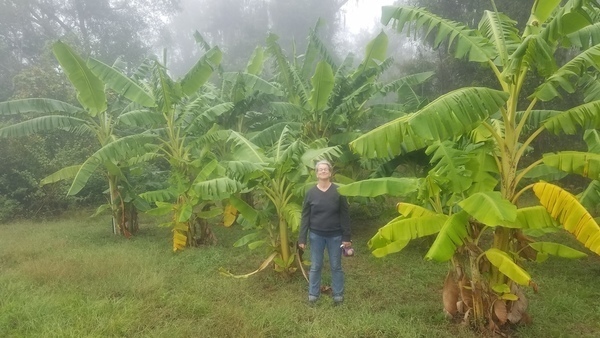 Gretchen got a dozen or so sticks of banana trees. Here’s one that happens to be in front of a camera. 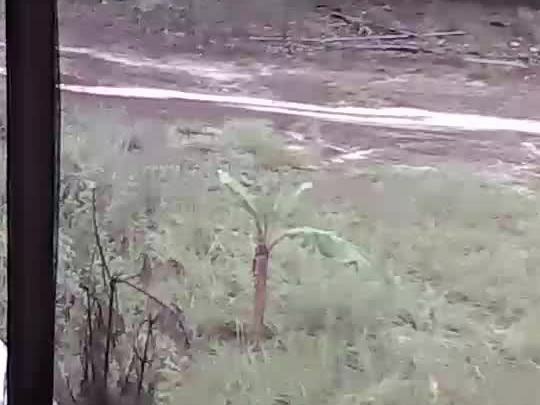 This entry was posted in Banana, Okra Paradise Farms and tagged Banana, banana tree, Brown Dog, Georgia, Gretchen Quarterman, John S. Quarterman, leaves, Lowndes County, Okra Paradise Farms, Yellow Dog on August 6, 2017 by John S. Quarterman.